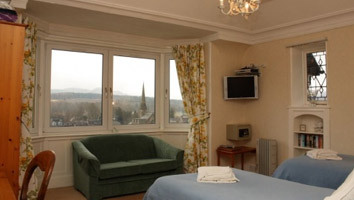 The Martin family welcome you to Poppies Hotel Our small hotel in Callander (home ot the Callander Jazz Festival), full of character, offers a friendly, cosy, home from home for a short break or for a longer holiday. On our doorstep lies the wealth of activities, attractions, and the romance for which the Loch Lomond and Trossachs National Park area of Scotland is rightly famous. In the heart of Braveheart and Rob Roy Country, near Stirling and right on the Perthshire border, our easy to reach, central Scotland location means that you don't spend hours at the wheel, allowing you to pack more in to your days and stays with us. 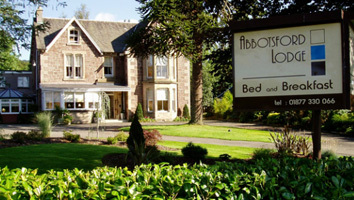 Abbotsfordlodge is situated within the National Park and in an enviable position whereby it is within walking distance of the bustling town and local amenities. We have off street hard standing parking to the front of the property, parking at the rear for motorcycles and secure storage for bicycles. Drying room is also available for wet weather clothes. As well as our beautiful en-suite double twin and family rooms we can also offer two Superior double rooms, featuring super king size beds, seating areas, flat screen televisions, robes, slippers, tea and cafetiere coffee, complimentry mineral waters and chocolates. 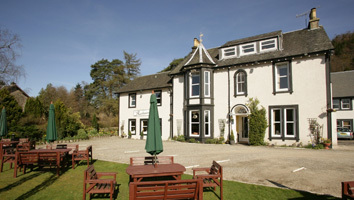 Situated in the heart of Callander which itself nestles beneath the exhilarating backdrop of Ben Ledi, The Waverley Hotel is ideally situated on the main street, and is within easy access of local amenities and activities. 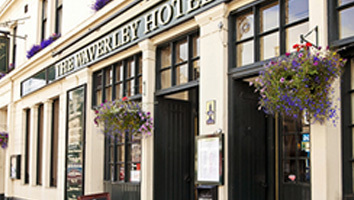 The Waverley Hotel Callander - Accommodation, food and drink.A very traditional Scottish theme is featured in The Waverley's bar and restaurant with various claymores, swords and targes hanging on the walls and the floor covered with the old favourite tartan carpet. The 76 cover restaurant offers an appetising menu based on locally sourced food, is open from Noon till 9pm seven days a week, and includes some of Scotland's favourite and classic meals. 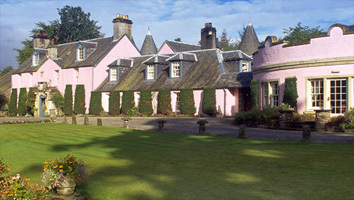 Callander Meadows is a comfortable family run establishment, situated in Scotlands First National Park. This beautiful town house built around 1800 is full of charm and character retaining many features. 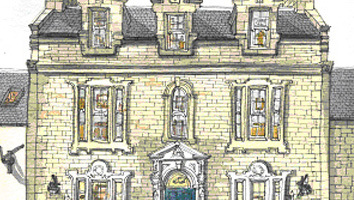 The Meadows is run by Nick and Susannah Parkes, both trained chefs with many years experience in high class restaurants including 'The Gleneagles Hotel'. Our quiet sheltered garden it open during the finer months offering a full selection of licenced drinks and lighter snacks in an alfresco setting. Callander Meadows also offers three en-suite letting rooms with wireless broadband, great food in a licenced restaurant, private parking, and a town centre location. 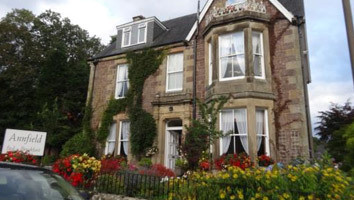 Annfield is a beautiful family run guest house built in 1875 the epitome of a Victorian country house. Situated in a quiet conservation area just off Callanders bustling main street one minutes walk to the shops and a wide variety of restaurants.